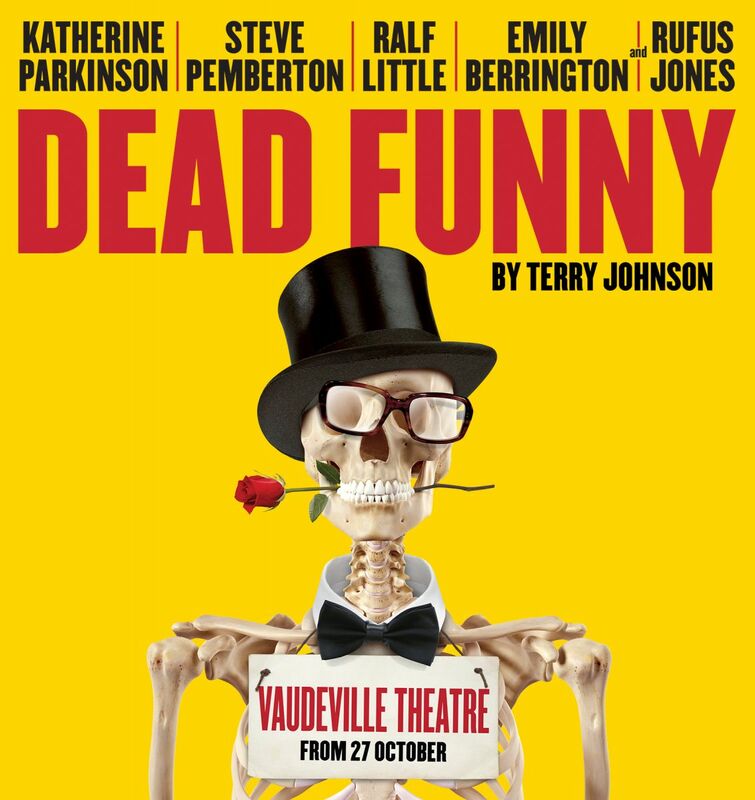 A major revival of Terry Johnson’s multi-award winning comedy Dead Funny opened at the Vaudeville Theatre last week to universal critical acclaim. With a “doozy of a cast” (The Financial Times) from some of today’s most celebrated TV comedy shows, Dead Funny promises to make you “roar with laughter and feel a lump in the throat.” (Guardian) and is “just the thing to cheer us up as the nights get colder” (Evening Standard). Eleanor wants a child. Richard would oblige if he could, but he's too busy running the Dead Funny Society. When British comedy heroes Frankie Howerd and Benny Hill turn up their toes in the same week the society gather for a celebration of hilarity and laughter. But Eleanor’s grin masks a grimace. When your marriage is deader than either Morecambe or Wise it's hard to see the funny side of things. Terry Johnson’s “perfectly crafted” (The Telegraph) comedy, Dead Funny, plays for a strictly limited season with a “terrific cast” (The Independent) of BAFTA winning Katherine Parkinson (The IT Crowd, In The Club, Humans), Steve Pemberton (The League of Gentlemen, Benidorm, Whitechapel, Olivier nominee Ralf Little, Emily Berrington (The Inbetweeners 2, Humans, 24), and Rufus Jones (W1A, Hunderby, The Casual Vacancy).